Dr. Bajwa is the founding Director of the Boston Headache Institute. He is recognized nationally as one of the leading pain and headache specialists in the country and has been named one of Boston’s “Top Doctors” consistently over the years. He has had a distinguished career at Beth Israel Deaconess Medical Center, served as an associate professor at Harvard Medical School in anesthesia (neurology), and a lecturer at Tufts University School of Medicine. Dr. Bajwa’s expertise in medical management of migraine and headaches is highly regarded in the medical community. Dr. Bajwa is board-certified in Neurology and Pain Medicine. Dr. Bajwa joined the staff at BPC after a distinguished 18 year career at the Beth Israel Deaconess Medical Center. 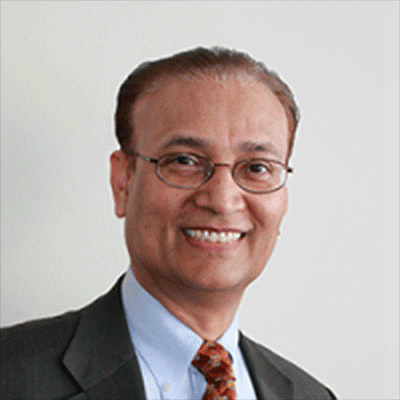 After completing his neurology residency at Albert Einstein College of Medicine and Montefiore Hospital in New York, Dr. Bajwa completed a pain medicine fellowship at the Massachusetts General Hospital and Harvard Medical School in 1993. Dr. Bajwa was instrumental in advancing the pain medicine program at Beth Israel and his list of achievements include the founding of the first Headache Center and the first Cancer Pain Service at BIDMC. His career is also distinguished by his commitment to pain medicine education and research. He has trained pain medicine fellows at BIDMC and Harvard Medical School since 1993. Dr. Bajwa pioneered the Harvard Medical School pain course “Principles and Practice of Pain Medicine”, and most recently has served as the Director of Education and Clinical Pain Research at BIDMC. He is also a lead author of one of the most authoritative and widely read pain medicine text books “Principles and Practices of Pain Medicine” and has been the principle investigator for numerous pain related studies. Dr. Bajwa holds leadership roles both regionally and nationally. He has served as Secretary of the American Academy of Pain Medicine, and is an ad hoc reviewer for Pain Medicine, the New England Journal of Medicine, the Journal of Pain and Symptom Management, and Anesthesia and Analgesia. Dr. Bajwa brings to Boston PainCare a unique skill set as a physician trained and board certified in both neurology and pain management. Together with Boston PainCare’s integrative and interdisciplinary approach to pain management, the Boston Headache Institute lead by Dr. Bajwa is one of the most comprehensive and unique headache programs in the region. Copyright © Boston PainCare 2009 - 2019 All Rights Reserved.